granted to major Asian petroleum consumers, including China, India and South Korea, for reducing their imports of Iranian oil. The exemptions mean that banks and other financial institutions based in those places will not be hit with penalties under U.S. law enacted as a way of pressuring Iran to come clean about its nuclear program.A total of 20 countries and Taiwan have been granted the waivers. The others will come up for review in March. The administration says the exemptions are a sign that pressure on Iran is increasing. While, evidences suggest that the sanctions have created some problems for Iran, especially before domestic market balance. Iran has exploited the opportunity of oil sanctions as a blessing by looking at the threats as a beneficial situation. The state not only boosted non-oil exports but also increased International foreign relations, especially with those countries which are not involved in Iran’s oil sanctions. Iranian officials have on repeated occasions reiterated that the US-led western sanctions on the country have positively influenced Iran’s economy. 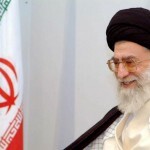 They believe that the West’s ban on Iranian oil supplies will help Iranian economy end its dependence on oil revenues. Commander of Iran’s Basij force Brigadier, General Mohammad Reza Naqdi, recently stressed that western pressures and oil embargos have provided Iran with a great chance to reduce its dependence on oil revenues. 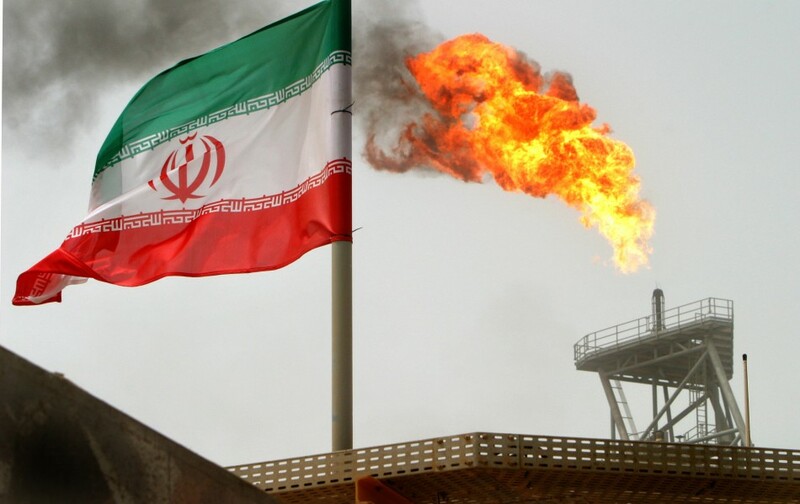 According to Iranian Students’ News Agency’s (ISNA) report, value of Iran’s non-oil exports excluding gas condensate has exceeded $16 billion from March to September 2012 which the amount belongs to 32.379 million tons of goods. The target countries were China, the UAE, Iraq, India, Afghanistan, Indonesia, Turkey, Turkmenistan, Pakistan and South Korea. Also the value of technical and engineering services exports during the same period of time reached $1.814 billion.Another report by Iranian Customs shows that Iran’s agricultural exports have experienced an eye-catching growth in the first eight months of the current Iranian year (March 20-November 21) irrespective of the sanctions imposed by the US and its western allies against the country. In addition, Iran has entered the field of computersoftware exports. A senior Iranian legislator announced on Sunday that Iran’s software exports in the first 6 months of the current Iranian year (March 20-September 21) amounted to $50mln, and reiterated that the country can bypass the western sanctions through exports of equipment’s and devices in the information technology industry.Another report says that Iran will become the world’s third largest cement producer by the end of the current Iranian year (March 20, 2013), adding that the country’s cement output experienced a remarkable increase after inauguration of several cement production plant in recent years.In August 2011, Iranian president Ahmadinejad announced that Iran has joined the world cement exporters club after building numerous cement factories across the country.Meanwhile, a US government watchdog said on Friday that at least seven companies from China, India, South Korea and South Africa continued to have investments in Iran’s oil and gas sectors in 2012 even as Tehran came under international scrutiny for its nuclear ambitions. A new US law signed in August gave the Obama administration the authority to sanction firms that help Iran develop its energy resources, a key source of revenue for the country. Most of the companies still involved in Iran’s energy sector are from countries that received six-month waivers called “exceptions” to the sanctions because they have reduced oil trade. Further, a review by FNA economic Iran displayed that Iran has had trade transactions with 192 world states and its trade deficit has even declined by $4mln in the first eight months of the current Iranian year (March 20-November 21) despite the UN and the West’s unilateral sanctions against Tehran. Economic arguments suggest that the decline in the value of money will lead to the development of domestic products and services. Therefore, the standard of living will rise in the long term. Normally, Iran’s focus on the domestic products and its forced oil storage due to western sanctions will make Iran become a stronger hub on storing oil resources. Energy sanctions on Iran naturally will accelerate a process to acquire nuclear energy, because Iran is in a process of development and its 78 million populations will need energy for more development. While Iran is considered as one the largest owners of natural and human resources due to its young educated population, the mismanagement of human and natural resources has always been one of the concerns of the country.Under recent pressures, it seems that Iran’s resource management system has been improved and expected to be better in the future which ultimately will lead to an improved management model.In general, whether in an optimistic or pessimistic mode, it seems that oil sanctions will benefit Iran in the long run, because fuel resources are running out and the scientists estimate that world will run out of fossil fuels within the next 50 to 120 years. As a result, Iran has no choice but to rely on non-oil products and given to this viewpoint, oil sanctions could be considered as a blessing. Iran’s Supreme Leader Ayatollah Ali Khamenei reiterated Saturday that the Islamic republic is not after building nuclear weapons. 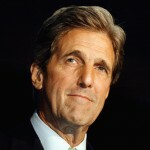 John Kerry’s Positions on Iran: Interaction or Confrontation? 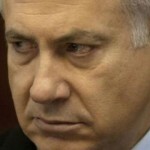 ← Previous Story Are there any benefits to castigate Iran? 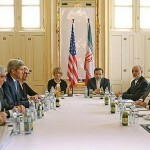 Next Story → John Kerry’s Positions on Iran: Interaction or Confrontation?